How can the Church boost interest in its message? 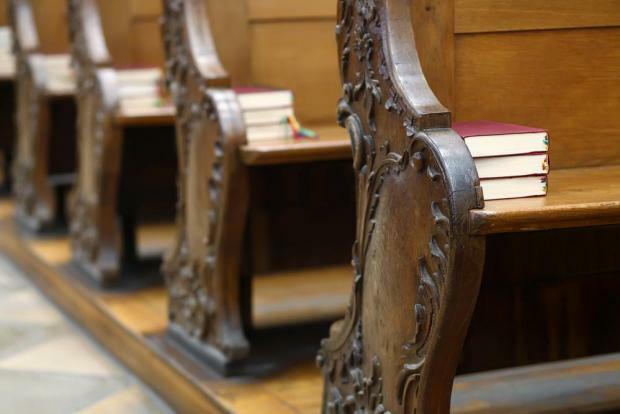 The census on Sunday Mass found declining attendance that could go as low as 10% in 20 years’ time. How is the Church to react to this trend? Three priests with popular masses were asked what they offer their congregations and what could make the religion more meaningful. People come from all over Malta to the Mass celebrated by Fr Cilia, director of the MSSP Oratory in Birkirkara. “As people come because they want to come that helps the atmosphere to be one of expectation, of involvement and commitment,” he says. “We offer a sense of community; people come to know each other and share not only the ritual of the liturgy but their own lives. “We offer a well-prepared homily as we believe that the Word of God needs to be explained in a simple yet profound way and in this regard we have quite a good feedback. “We offer children’s ministry as we try to create a safe space for them and explain to them in their own way, sometimes through clips, paintings, songs or games, the gospel of the day. This also gives parents the time to listen to the homily in peace. He said the Pope spoke about priests being closer to the people, knowing their language and being closer to their pain. With even non-church goers wishing for the presence of a priest in difficult moments of their lives, this could be a “real entry point”. The Church also needed to move from the legal and moral language to offer more of “the freshness of the life and teachings of Christ”. Fr Hilary, founder of the Millennium Chapel Community in Paceville, says the chapel offers practical ways of living a Christian life of faith. He proposed that less clericalism, in the footsteps of Pope Francis, would “bring the Church out to the people”. Pastoral work, he said, was still focused on religiosity and church decoration. “We are missing the boat. Pope Francis has appealed to all priests and lay people to find new ways of evangelisation! He said his chapel has recently installed an electronic screen outside on the pavement, so that positive messages and the Word of God was transmitted to all, day and night. For Fr Camilleri, a professor of theology and the former Episcopal Vicar for Evangalisation, says the Church offers its congregations by and large what it has been offering for ages, but the problem is that audiences are today much more complex than they used to be. “We have mixed audiences with very mixed motivations. It is difficult to cater for personal needs in a big church where the right motivated would want mainly to reconnect with themselves and go back home with some more inner peace and harmony. And little can be done to make religion more meaningful to the ordinary person if the starting point is the Sunday congregation, says Fr Camilleri, a weekly contributor to this newspaper’s Christian Spirituality page. In his view, what is needed is a “rebranding of religion and a re-inventing of the Church”.